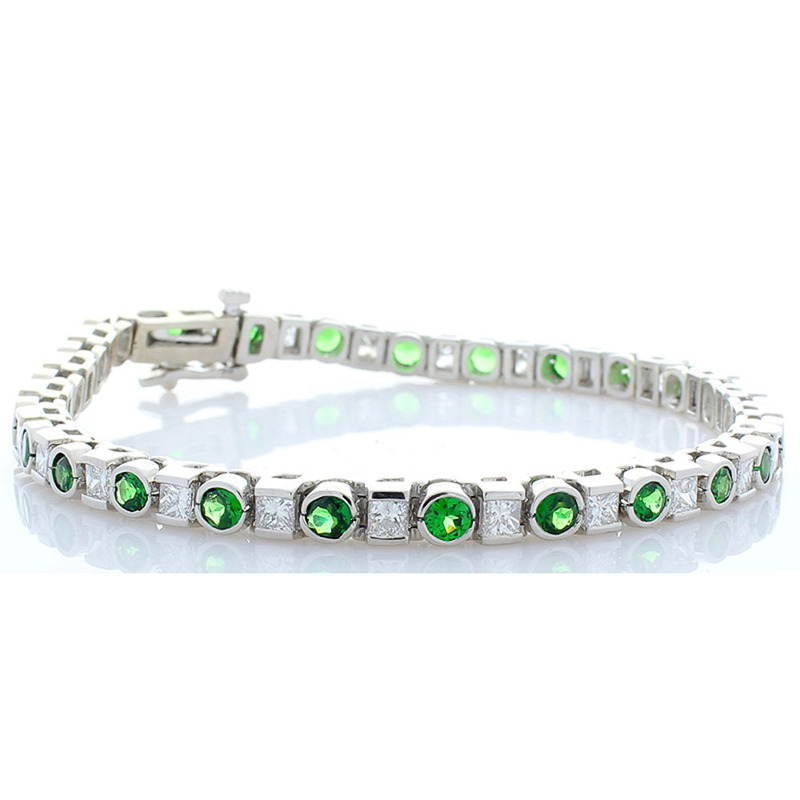 This electric tsavorite and diamond bracelet is majestic and eye catching. It is an absolute pleasure to behold and a joy to wear. The bracelet features 3.20 carat total vibrant round tsavorite garnets that alternate between 3.12 carat total sparkling princess cut diamonds. The entire bracelet is fashioned of radiant Karat white gold. It fastens securely with an attractive, easy-to-use clasp.